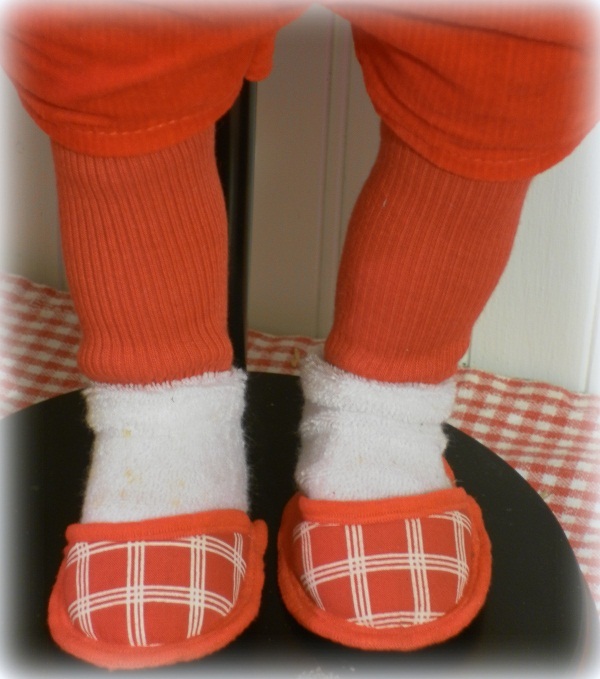 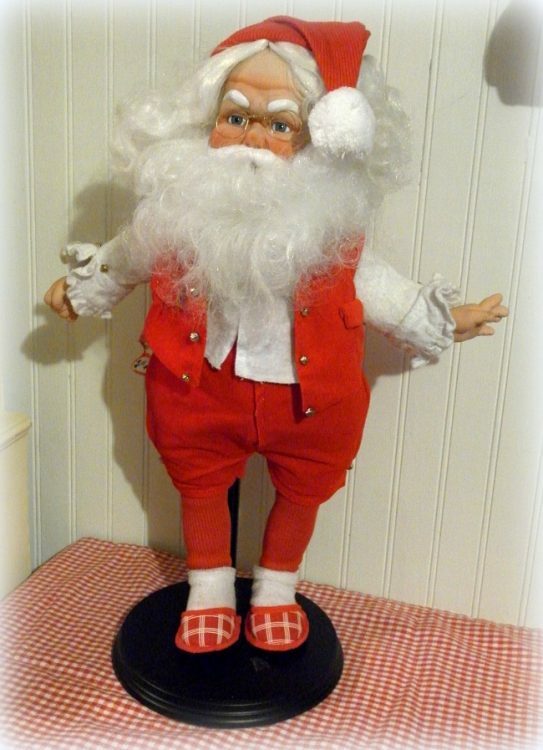 This ADORABLE handmade vintage porcelain Santa Claus doll is quite dashing in his red leisure suit complete with jingle bells, comfy slippers and hankie in his pocket. 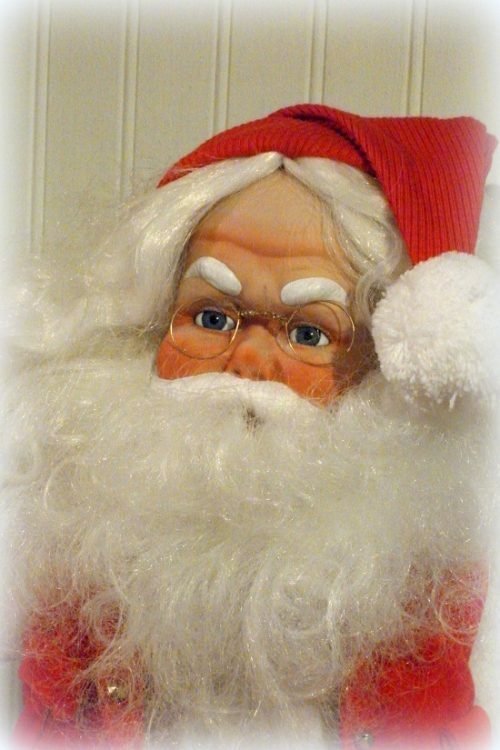 Hi head and hands are porcelain. 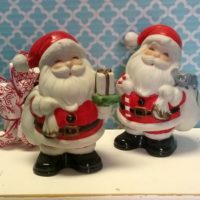 This is what Santa must look like the day AFTER Christmas, relaxing at home and quite tuckered out from all of those deliveries! 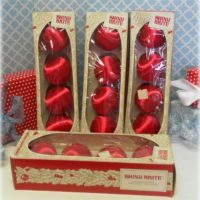 Someone put a lot of time and love into him.He would feel right at home nestled in your holiday decor. 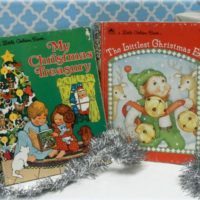 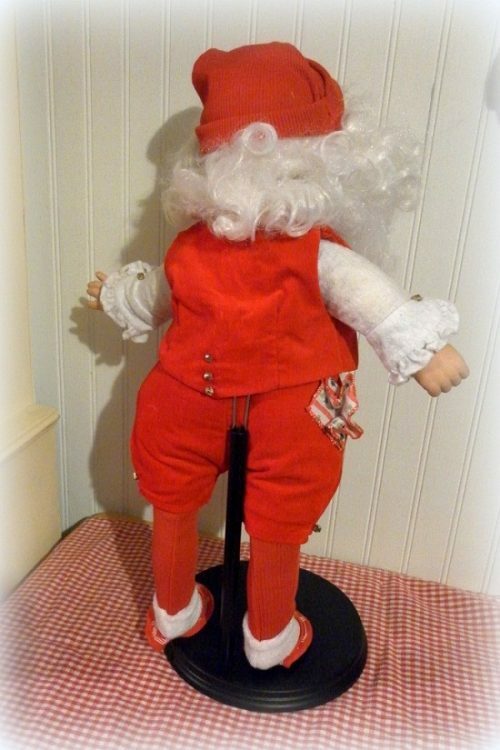 This charming Santa doll measures 18 1/2″ and comes with stand.